The DS90 iSeries Inventory Control module is designed to provide all the tools you’ll ever need to efficiently and effectively manage your inventory. This function-rich application operates in real time with all modules within the DS90 iSeries ERP application and offers seamless communications with EDI services. Our uniquely powerful global item search methodology makes searches faster and easier. The item search gets instant results by using any combination of the following search criteria: Item number, description, manufacturer’s item number, unit of measure, item class, keyword — or even partial criteria. This module supports various packaging and pricing complexities, including multiple units of measure for a single item, flexible pricing for that item and sell in one or more units of another measure. 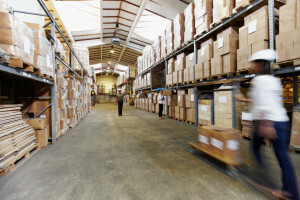 Inventory gets tracked, managed and priced in decimal units of measure. The system does all the conversions for you! The DS90 iSeries distribution software offers a variety of pricing methodologies, including date sensitivity, special pricing combinations and contract pricing for specific customer and item — saving significant time and reducing clerical errors. Extensive ad hoc reporting and real time inquiries provide immediate access to key information including inventory levels, inventory valuation, inventory audit, sales analysis, customer and item rankings, orders by items, order pipeline, purchase orders and an “as of’” inventory inquiry. All transactions provide cursor-sensitive help, allowing users to become proficient quickly.